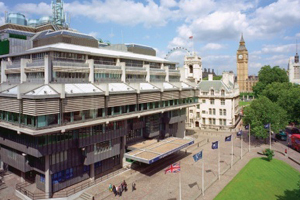 London's QEII Conference Centre is set to report a revenue drop of just 4% for 2009 compared with a projected fall of 10%, giving it £11m turnover compared to £11.5m in 2008. The centre's financial results for first six months of 2009 have revealed profits of £522,000, more than double the £250,000 the venue had forecast a year ago. Occupancy for the same period was at 60%, while revenues fell by 2% compared with the first six months of 2008. "For the full year, we think we'll be around 4% behind revenue figures for 2008, although we were expecting a 10% decrease," said the QEIICC chief executive Ernest Vincent. "A year ago, we were quite concerned about what lay ahead of us and the impact both the banking crisis and the recession could have on the meetings industry. We've lost some occupancy but nothing like the figure anticipated."